Mathew Gullick advises on and appears in Employment Tribunal proceedings throughout the country, in cases ranging from those listed for one day to several weeks. He acts for both Claimants and Respondents (private, public and third sector) across the range of employment areas, including unfair dismissal, constructive dismissal, wrongful dismissal, all types of discrimination, TUPE, equal pay, restrictive covenants, public interest disclosure, pensions, breach of contract and unlawful deductions from wages (including the non-payment of bonuses). Mathew is an experienced appellate advocate; his work in the employment field has included several appearances at substantive hearings in the Employment Appeal Tribunal, as well as in the Court of Appeal in the case of Sanders v Newham Sixth Form College  EWCA Civ 734, in which the Court clarified the correct approach to analysing claims of discrimination by failing to make reasonable adjustments for disabled persons. Appeals in which he has appeared in the EAT include Franco v Bowling & Co Solicitors (UKEAT/0280/09), in which he successfully argued that an Employment Judge had no power at a case management hearing to impose a limit on the extent of a claimant's pleaded allegations of discrimination, and Premier Groundworks Ltd v Jozsa (UKEAT/0494/08) which concerned the definition of "worker" in the Working Time Regulations 1998, in particular the requirement to perform work personally under a contract for services. Mathew’s employment practice also extends to advising on and appearing in High Court employment matters. He has been involved in several cases involving substantial six-figure damages claims, including for non-payment of bonuses and commission, wrongful dismissal and breach of a compromise agreement. He has also successfully struck out a libel claim brought by an employee against her former employer (a major PLC) in respect of correspondence sent at the time of her dismissal. 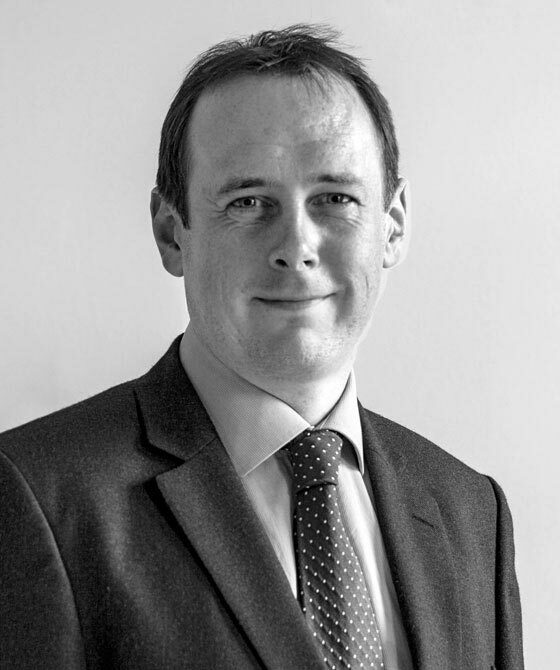 Mathew also has experience of advising in relation to the provision of references by employers and consequent negligent mis-statement proceedings. He was appointed to the Attorney-General's A Panel of Junior Counsel to the Crown in civil matters in September 2016. A direct age discrimination claim (acting for the successful Claimant) where the Tribunal found that the Respondent had made the Claimant redundant as part of a management restructure just before his 50th birthday in order to avoid paying a lump sum into the pension fund which would have been necessary in the event he had been made redundant after reaching the age of 50 (which would have enabled him to access his pension early). No consideration had been given to the case for delaying the Claimant’s redundancy for a transitional period to oversee work in progress, as had been done with other employees affected by the restructure; the Tribunal found that had this been done then the Claimant would have been made redundant after his 50th birthday and so would have received his retirement pension early. It rejected the Respondent’s alternative defence of justification and also found that the Claimant had been unfairly dismissed. Acting (against Leading Counsel) for the successful claimant, a former Executive Director of an NHS Trust with 25 years’ unblemished service who had been summarily dismissed for gross misconduct for alleged misuse of the work email system. The dismissal took effect two weeks before the expiry of an existing redundancy notice period whereupon the Claimant would have received a substantial redundancy payment. The Tribunal found that the dismissal was both unfair and wrongful, concluding that no reasonable employer would have imposed anything more than a written warning and that the Respondent had failed to establish that the Claimant was guilty of gross misconduct. It further upheld the Claimant’s claim of disability discrimination arising from the Respondent’s failure to postpone the disciplinary hearing at which he was dismissed. Acting for the Respondent at a Pre-Hearing Review in a claim concerning whether or not the provisions of the Civil Service Pension Scheme were discriminatory on the ground of disability – a deposit order was made and the claim subsequently struck out. A three-day preliminary hearing (against Leading Counsel) on whether a carer funded by direct payments was an employee of the disabled persons cared for (but who did not have capacity to contract), their relatives who had day to day control of the employment relationship, the charity which administered the contracts, or the local authority with statutory responsibility for the provision of the care and which provided the funding. Representing the defendant employer in Court proceedings brought by the employee to enforce payment under a purported compromise agreement which had been sent to the employee pre-signed but with the wrong figure for compensation inserted in error, which was three times higher than had previously been offered to the Claimant in writing. The Court found that the Defendant had orally withdrawn the offer to settle for the erroneous figure prior to the agreement being signed by the Claimant, and that in any event even if that withdrawal had not been effective then the agreement would have been void for mistake.